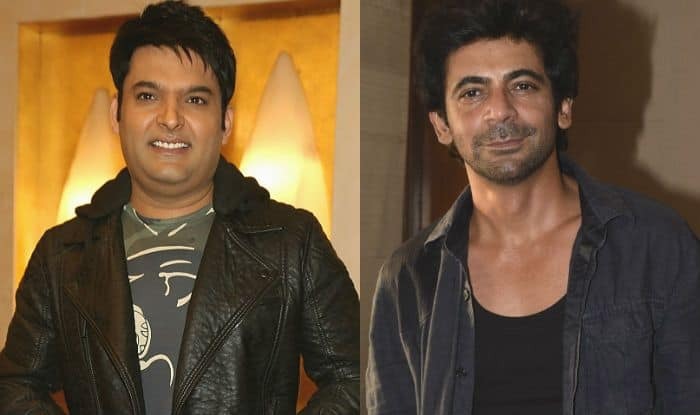 Sunil Grover’s show Kanpur Wale Khuranas is going off-air and the comedian has held himself responsible for the same. The actor, who is also working on Salman Khan‘s movie Bharat, has stated that he has got prior commitments to fulfil. Sunil talked to an entertainment portal and revealed that Kanpur Wale Khuranas was scheduled as an eight-episode show because he had to return to shoot for Bharat after that. In his latest interview with Pinkvilla, Sunil said, “It is because of me. I had signed the show for eight weeks only because my dates were locked for Bharat, the movie. I had made this clear even during the press conference and interviews that I could only accommodate this much time. I am kickstarting the last leg of the shoot for Bharat from today, and I just want to thank the team who made this show happen including the channel and the guests who accommodated dates because of my schedule”. Sunil also mentioned that he is aware the show got trolled on social media but he doesn’t give attention to such negativity. He said that the ones who criticised Kanpur Wale Khuranas were mostly nameless, faceless people on social media and he would like to focus on the love that the show has received. Sunil added, “90% of them are with fake ids, 70-80% of them don’t have their own profile picture and are nameless, these are the ones who troll. So, it doesn’t bother me. How can these fake people and world bother me? It is a part and parcel of work. If there are a few who did not like the show, there are also people who loved it. Why should these fake, nameless people who troll and abuse me affect me? It is their headache”. Sunil also explained he doesn’t ‘care’ about the show’s comparison with Kapil Sharma’s show. He said, “Let them compare. I am doing what I know. I enjoyed doing the show. I love humour as a genre. It was a great journey for, day and night we were working on funny one-liners, developing a character, working as a team. Making two episodes a day is not easy, no one can do it in this genre, lining up artists and more”. While he is busy with Bharat and recently got featured in Vishal Bharadwaj‘s film Pataakha, Sunil is of the opinion that TV is his first love. He explained in the same interview that he will always return to the TV whenever there’s an opportunity as it’s the best medium to connect with the audience. Meanwhile, Navjot Singh Sidhu, who features on The Kapil Sharma Show, recently mentioned that he is hopeful Sunil will reunite with Kapil. Talking to Punjab Kesari, he said, “Sunil will realize it on his own and when he does, we all will be standing with open arms to welcome him”.